Owning a DSLR is a bit like having a baby. Well not having a baby exactly, but being responsible for it. Like a baby, your DSLR camera usually goes everywhere with you – to the park, the zoo, family functions, Christmas parties etc. It’s also of considerable weight and comes with a variety of accessories lenses, filters, memory cards as opposed to diapers, toys and snacks. And like a baby you have to be very careful with it. It’s quite delicate and must be protected against knocks, falls and all accidental bumps and boo boos. So if you are a mommy already toting around a 1 year old and hate to miss any of those special moments, you also need to take the big DSLR around with you too. As you might know I have two little girls and I love to take pictures so I do a fair amount of lugging! So when I recently got a new DSLR even bigger than the last, I set out on a mission to find the perfect bag to accommodate my camera and make it easier to take along on more outings. What I wanted was different to my other camera bags. I already have the massive camera bag that can hold 2 bodies and 2 lenses, the laptop etc. This time I was searching for an every day bag which main job is to keep the camera safe and protected but it also needed to look cute and not necessarily like a “camera bag.” I love the idea of have a camera bag that looks like a fashionable purse. I did a lot of investigating and got a lot of feedback from you guys on social media so here is a round up of some of the bags that I really liked and my top 5 DSLR bags for women. When I first wanted to get a new camera bag I was obsessed about getting a real leather bag. To be honest I am a bit of a purse snob and can’t stand fake, plastic looking pleather. And that was one thing that used to put me off the Jo Totes range of camera bags for ladies. However, there is nothing plasticky about these bags! You will love the bright color range available and their absolutely perfect size for a body and 2 lenses. When I got to thinking about it, considering the abuse and constant wear my camera bag has to take, I don’t really want a real leather bag that I have to be careful of. That’s why I ultimately settled on the Gracie in yellow but the Butterscotch color featured here is also just as yummy! Its a very comfortable bag to wear when you are shooting and I think is the perfect cross between a purse and a camera bag, with lots of protection for your valuable gear. 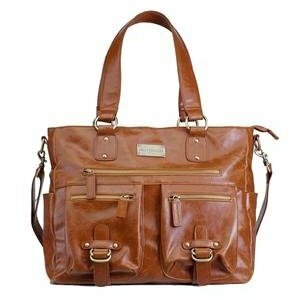 For more about the Jo Totes Gracie, you can check out my blog post here or purchase on Amazon with Free Shipping for Prime members here. When I asked the crowd on Facebook which was their favorite camera bags the Epiphanie range seemed to be the favorite. 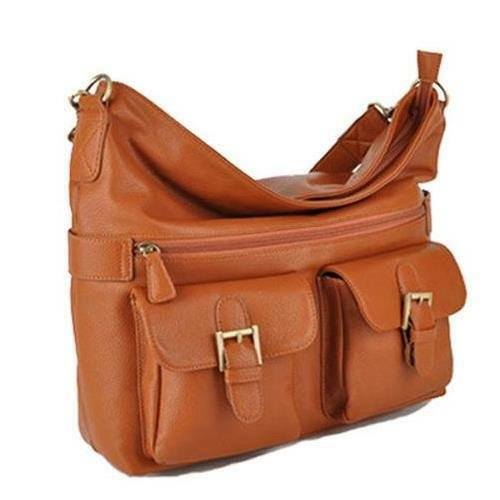 These bags are totally unlike a traditional camera bag and have been designed with the modern lady in mind looking like a high-end designer purse. They have such a fab range of colors and styles there is bound to be one to suit you. In fact you might find yourself needing several, depending on what outfit you are wearing! Epiphanie bags are sometimes available through Amazon but to guarantee the latest styles check out their website. The even have a design called the Ireland – what’s not to love?! The Kelly Moore bags have also been designed to look like fashionable purses but with lots of padding inside. Kelly is a photographer and was frustrated with the lack of choice out there for woman photographers. Her camera bags range from huge full kit travel bags such as the Libby to the more compact 2 Sues which I personally LOVE. Kelly Moore are also available on Amazon or check out Kelly’s website for lots of videos demonstrating her products. The Jill-e bags have been around for a while and although they are different to the traditional camera bags ie not black canvas with a lot of velcro, they are more traditional in design than some of the bright colors and designs of the Epiphanie and Kelly Moore Bags. They are also very reasonably priced which would make them an affordable gift or if you are the type of lady for whom one purse is never enough! 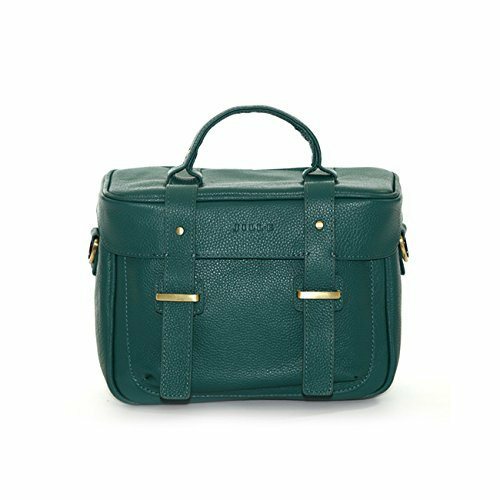 Check out the Jill-e range of camera bags for women at Amazon. These bags are the winners as far as I’m concerned. I LOVE the 3Annies range of bags which are stylish purses in their own right AND they are made from real leather. The colors are absolutely stunning and the designs are to die for. 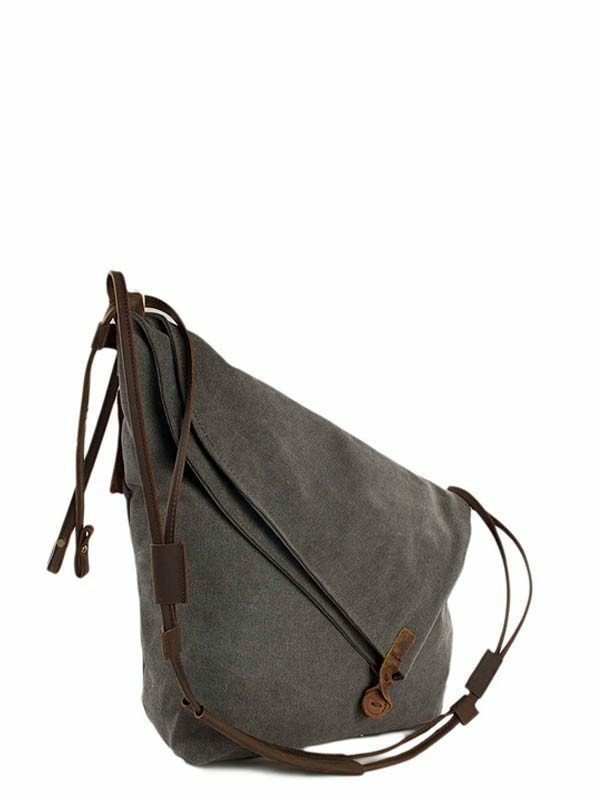 Ok, Ok – I know I said the Top 5 Bags, but I’ve just recently found out about another beautiful camera bag called the Nadine from Aide De Camp Bags. The Nadine promises to be everything I personally ever wanted in a camera bag as it also fits a laptop as well as a camera and for those of you who are still toting around babies, the laptop sleeve even doubles as a baby changing mat. An ingenious idea! The super awesome people at ADC Bags sent me a Nadine so if you’d like to check out my review, pop on over here. And I just recently fount out that you can get your Nadine bag with Free Shipping for Prime members over at Amazon. 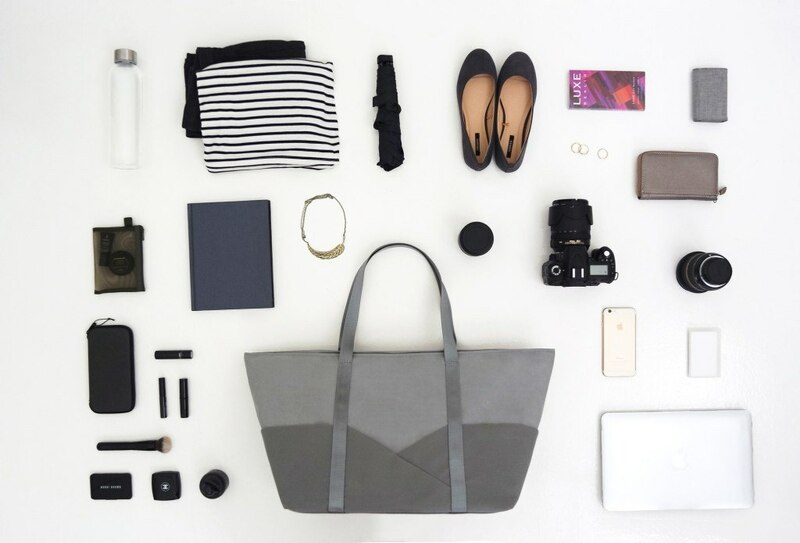 What kind of bag do you use? Are you happy with it? Let me know in the comments below! I also love the camera baskets you can remove and put into any bag. Jo Totes are also beautiful. 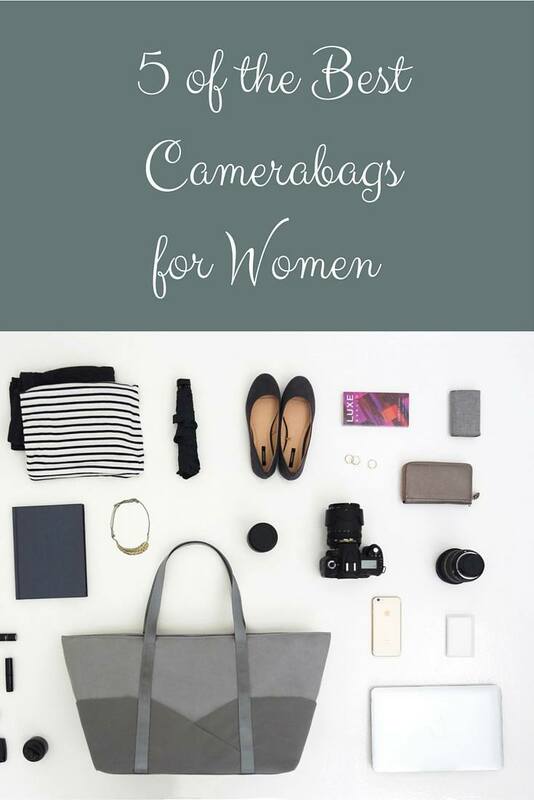 I love that womens camera bags are so pretty now! I ended up going with Lilah Snow (www.lilahsnow.com) which is another real leather Australian brand – have you seen them? It has a removable ‘box’ like the 3 Annies, and the panels can be attached anywhere like the Kelly Moore’s so I thought that was a win all round! Which one did you end up with? I ended up making my own Emma! My aunt gave me a beautiful tan leather bag which was just the right size so I got to work and sewed myself an insert box thingy – velcro dividers and all!. It’s perfect for me right now with just the right amount of pockets and stuff. Oh and the best thing about it is that it has a long crossbody strap so I can wear it while shooting too. Need to check out Lilah Snow though – hadn’t heard of her!